More and more of you are being converted to the ways of holidaying in one of Meribel’s catered chalets when it comes to skiing. Gone are the days of juggling cooking duties and plumping your own pillows, or bedding down in a 200 room hotel. 2014 is the year of putting your feet up, tucking into some apple crumble fresh from the oven, and the satisfaction of having a holiday that’s easy on the pocket and great fun too. With more of you taking the slopes each year, people are now looking at getting the best of both worlds – after all, what good is a holiday if you don’t go home feeling refreshed, revitalised and reinvigorated? Catered chalets offer you a fantastic package option which you means you can get a fantastic week’s skiing in Meribel, stress-free. 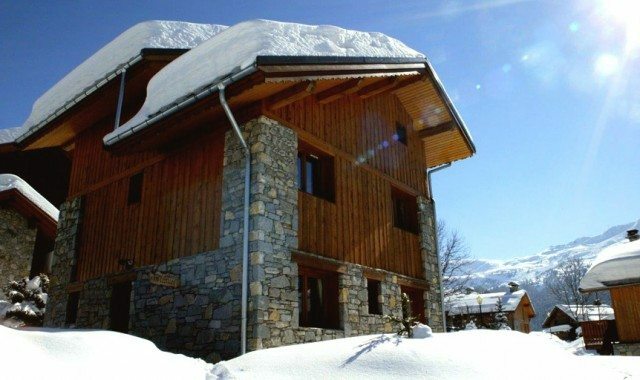 These days, ski passes, skis and boots can be delivered straight to your chalet, door to door transfers can be organised, meaning all you have to do is get to one of Meribel’s nearest airports. For those of you that find it difficult handling our Alpine supermarkets, or even planning daily meals far from home, having someone to cook you dinner six nights out of seven is a luxury we all dream of, so why make not make that dream a reality? You don’t even have to load the dishwasher, we promise.. When you’re a few days in, and getting out of bed seems that little bit harder, the smell of breakfast and fresh coffee will even put a smile on those of you with the sorest of bottoms! Staying in a catered chalet with friendly staff, who care about you and your holiday, is like staying with great friends; the wine flows, the fire roars, and the laughs are plentiful. You’ll get tips on far-flung refuges for the best fondue around, meet up with your hosts at La Folie Douce for a dance in your ski boots, a Vin Chaud in hand, and create some lifelong memories. So put those feet up, raise your Vin Chaud and make a toast to 2014 – the year of the catered chalet!